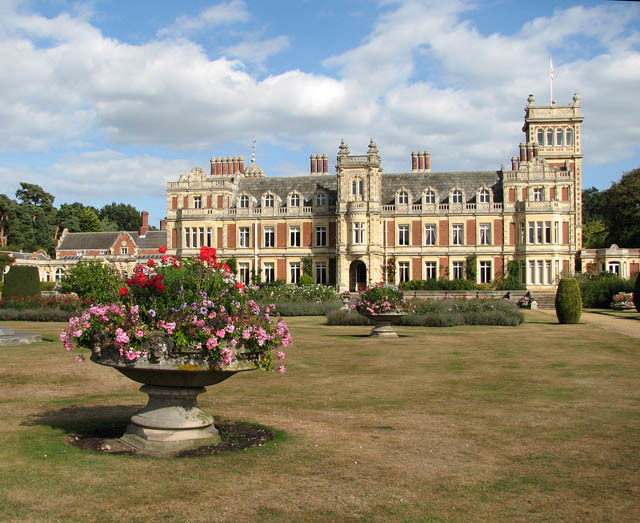 Somerleyton Hall is considered one of the most impressive and well-preserved country houses in England. A manor house, built in 1240 by Sir Peter Fitzosbert, stood where the present structure stands. 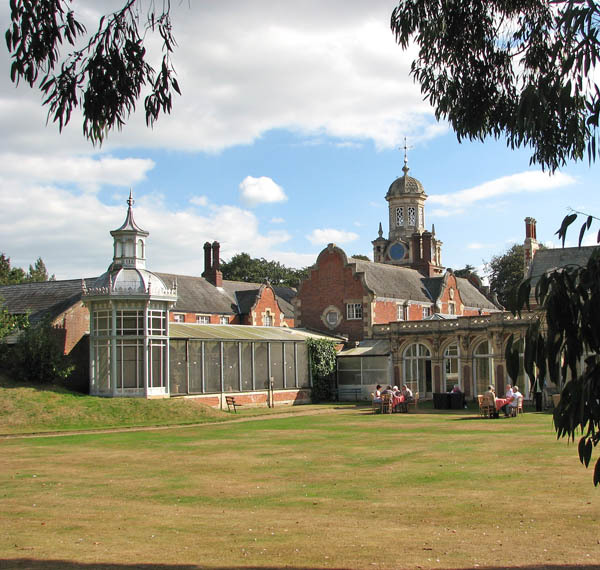 It passed on to different owners until prosperous entrepreneur and MP Samuel Morton Peto purchased it and transformed it into the Anglo-Italian architecture it is today. 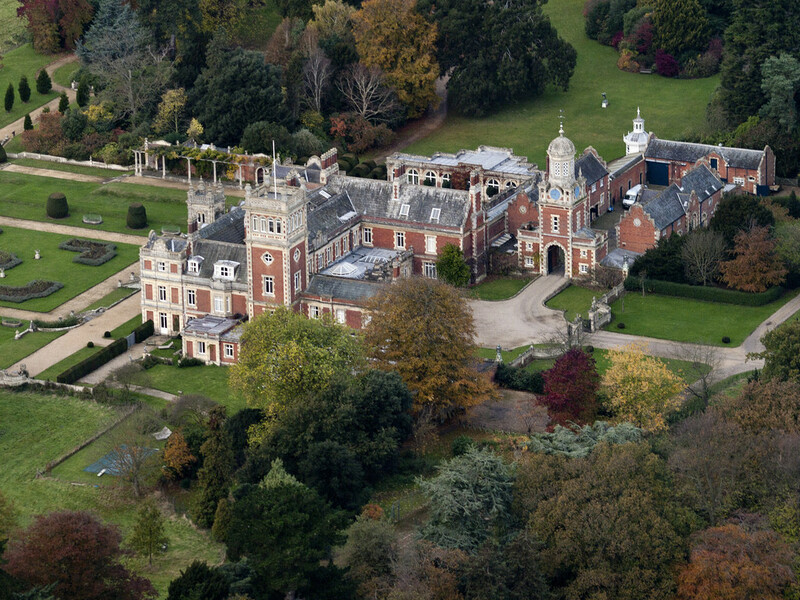 In 1863 the Somerleyton estate was sold to Sir Francis Crossley, whose son, Savile, was created Baron Somerleyton in 1916. Since then, the mansion has remained in the hands of the Crossley family. The magnificent red brick and mellow stone mansion, rebuilt in Anglo-Italian style in 1846 stands surrounded by 12 acres of beautiful gardens. On the east side of the house there is a French Renaissance arcade and the north end supports a charming campanile or bell tower. The west, or garden side, has ornate three-storey square porch inset with a fine oriel window and topped by pinnacles at each corner. This combined with the stone parapets and stone-faced dormer windows present a delightful façade. The interior has some rich carved paneling particularly in the oak parlour and on the staircase, and there are superb pieces of antique furniture, tapestries, and big game trophies. The gardens including a statuary are well laid-out with lawns, flowering shrubs, rear trees, shape hedges and the remains of a winter garden surrounds a sunken garden. A fine pagoda stands in the center of the maze and there is a nature trail and miniature railway.